Since reporting the possible uric acid lowering effects of flaxseed oil, I have read two more reports on the same subject. Traditionally flaxseed oil supplements have been used as gout home remedies to help ease the painful swelling associated with a gout attack. There is a lot of research into anti-arthritic properties of all fatty acids. Though very little is gout specific, many visitors here rely on the Benefit of Flax Seed Oil for Gout. Though there are still no human trials for gout sufferers, the two latest reports do give a strong indication that flaxseed oil can lower uric acid. 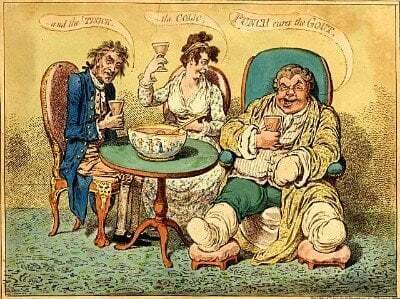 As with all gout home remedies, the true benefit has to be judged on a case-by-case basis. The only way to see if flaxseed oil will benefit you is to measure uric acid and ensure it never rises above 5mg/dL (0.30mmol/L). The latest research cannot tell us that, but it does suggest that flaxseed oil can help gout sufferers. In “Impact of dietary flaxseed (linum usitatissimum) supplementation on biochemical profile in healthy rats” Pacheco and colleagues compare flaxseed to soybean oil and to no supplementation. After 180 days, uric acid in the flaxseed group was 34% less than no supplements, and 44% less than soybean oil. In “The protective effect of flaxseed oil on lead acetate-induced renal toxicity in rats” high uric acid was induced by creating kidney disease using lead acetate. The rats that were fed flaxseed oil had significantly lower uric acid levels. Though these reports are encouraging, we are still a long way from knowing how effective flax can be for gout sufferers. We need human trials, and we need gout patients to be involved. More importantly we need to know whether crushed flax seeds are better than flaxseed oil. We need to know what daily intake is likely to have the best benefit. We need to know if it is safe to use with other gout home remedies or with gout medications. 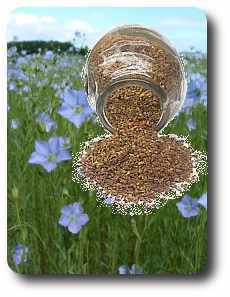 Food grade flaxseed oil, and crushed flax seeds are widely available. If you have your own uric acid test kit, you could measure the effects yourself, but please discuss this with your doctor first.